"During the first nine months of 2018, 3,286 Canadians lost their lives to apparent opioid-related overdoses," the agency said in a release on Wednesday. The data also indicate that fentanyl and other fentanyl-related substances continue to be a "major driver" of Canada's opioid crisis, with 73 per cent of accidental apparent opioid-related deaths in the nine-month span involving the potent painkilling drug. Dr. Theresa Tam, Canada's chief public health officer, said the newly released figures serve as a "stark reminder" of the importance of maintaining and ramping up efforts to stop the epidemic. 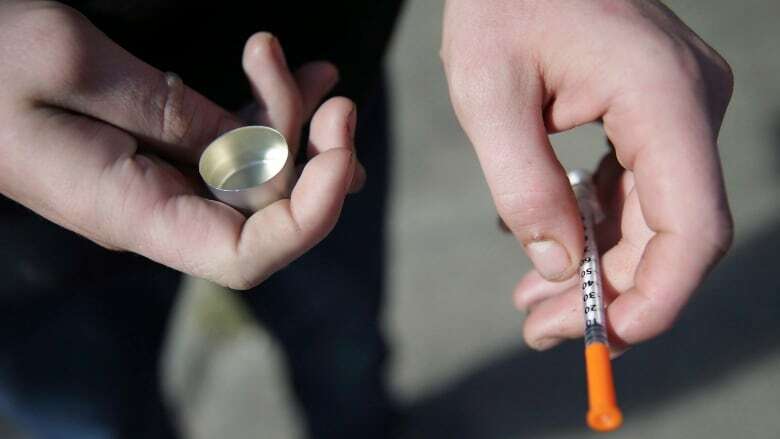 The latest data "reaffirm that all Canadians are being affected, directly or indirectly, by this epidemic," Dr. Saqib Shahab, Saskatchewan's chief medical health officer and co-chair of the special advisory committee on the epidemic of opioid overdoses, said in a release. Elsewhere on Tuesday, U.S. health officials warned doctors not to abruptly stop prescribing opioid painkillers to patients who are taking them for chronic pain ailments, such as backaches. The U.S. Food and Drug Administration said it will add advice to labels on how to taper opioid painkillers, such as OxyContin, Vicodin and dozens of generic pills. The opioid epidemic includes not only legal painkillers, but also illicit drugs like heroin and fentanyl. Fatal overdoses tied to opioids have dragged down U.S. life expectancy and killed more than 400,000 people since 1999, according to government figures. In 2016, the FDA's sister agency, the U.S. Centers for Disease Control and Prevention, said opioids should not be the first treatment for chronic pain, and recommended other pain medications or nondrug options instead. The CDC said opioids should be reserved for the most severe forms of long-term pain. That narrow use was long accepted. But beginning in the 1990s some drugmakers, insurers and pain specialists called for wider use of the drugs for more common pain ailments like backaches and arthritis. The Canadian Pain Society has long called for a national pain strategy, especially as the opioid crisis has exacerbated the stigma around prescribing and use of painkillers.